"I love running. It has led to many exciting opportunities in my life. Running gave me a scholarship to Fresno State, a beautiful wife who I met on the track team at State, a chance to compete in the 2000 Olympic Team Trials and was the driving force behind opening Sierra Running Co., now Fleet Feet Sports, over 10 years ago. Running has been a part of my life for over 25 years and I still look forward to lacing up my shoes! Fitting people and sharing my passion for the sport is what I love to do." General Manager / Local Legend "The Lege Jr"
Kyle has been in the running scene for over 20 years. He competed locally for Buchanan High School and Fresno State. Since then, he has traded all weather tracks and cross country courses for the roads and trails of ultra marathon events. Along with managing the store he is a training group coach and many participants will attest that he is a great coach to have. 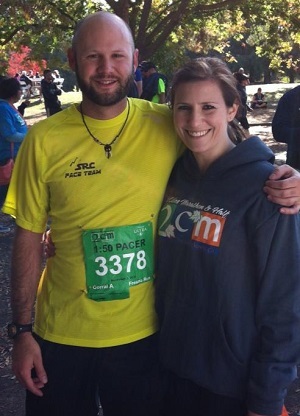 Kyle, “finds joy in helping the beginner runner get started or the experienced runner better their times”. Outside of work, relaxing, enjoying a nice cold beer, and spending time outdoors with friends and family are at the top of his list! Mikel was a Division II State XC Champion and Footlocker National qualifier at Clovis High School and specialized in steeplechase at the University of Nebraska. He no longer competes but enjoys running as one of his many hobbies. Mikel has been with the shop since 2012 and is thankful that he has a chance to work in a business that specializes in something that he loves. Aside from athletics and work he enjoys spending time with his two daughters and wife, producing electronic music, and supporting Liverpool FC (YNWA!). 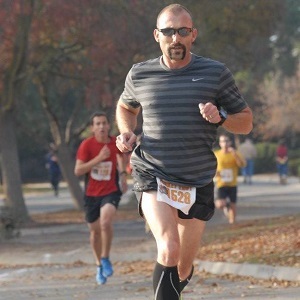 David is an experienced ultra marathoner and running enthusiast. In February of 2010 David ran his first 50k two months later he ran a 50 miler and then capped it off with his first 100 miler in August (The Headlands 100). The longer events have special place in his heart. As he tells it, "I really enjoy the 100 mile distance because it's mentally and physically exhausting, but very fulfilling." When he's not running David enjoys training in Brazilian Jiu-Jitsu. He currently holds a brown belt and is working towards his black belt. Kyle is a bit of a local running hero. 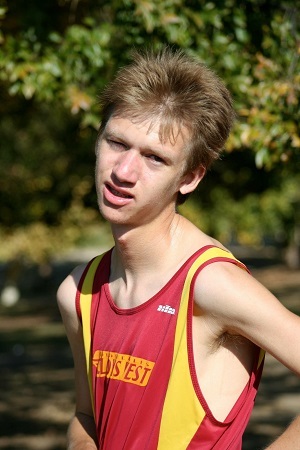 He has raced distances from the 1600m in high school to half marathons after graduating. He has spent the last two summers doing his part to help around the shop. Keryn has been a runner for over 15 years both in high school and throughout college. She studied Food Science and Nutrition from Fresno State, received her MA in International Non-Governmental Organizations in London and loves working on international projects for grass roots organizations. 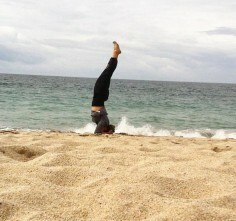 She enjoys: running, yoga, gastronomy and the local food revolution!